Red Dead Redemption 2’s release date has been confirmed. 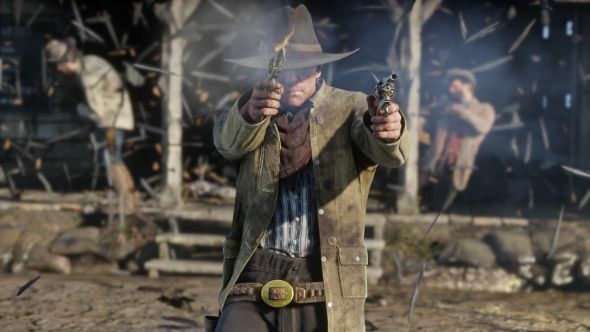 Rockstar Games have announced that the game will be playable on October 26. Here’s everything we know about Red Dead Redemption 2, including release date, story, and setting. Hopefully some of that information includes a PC release date, or at least confirmation that it will actually come to the platform. So far, only PS4 and Xbox One versions of the game have been confirmed. It took 18 months for Rockstar’s last game, Grand Theft Auto V, to make the jump from console, meaning PC players might be waiting until as late as Spring 2020 to get their hands on the game.